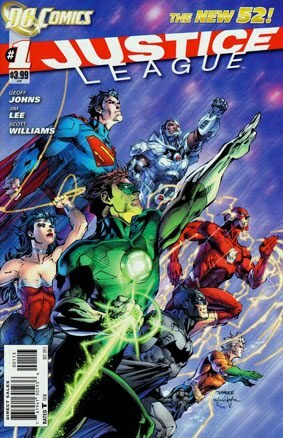 • PLOT SUMMARY: "Justice League" Part 1 - Comics superstars Geoff Johns and Jim Lee make history! In a universe where super heroes are strange and new, Batman has discovered a dark evil that requires him to unite the World Greatest Heroes! Written by Geoff Johns. 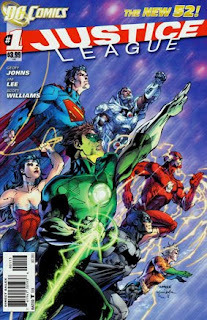 Art and cover by Jim Lee and Scott Williams.